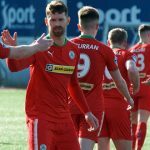 Match Sponsorship enables you or your business to be the sole sponsor of the Cliftonville home fixture of your choice. We offer companies three exciting Match Sponsorship packages, representing excellent value for money and each providing the opportunity to treat key account holders or personnel to an entertaining and unforgettable day out. 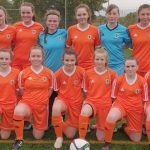 Our Match Sponsorship packages present the chance to promote your business, whilst engaging with the local community and showing your support for the Number 1 sports club in north Belfast. 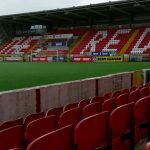 All Match Sponsors are entitled to special discounts for stadium advertising and can avail of the opportunity to offer our Members and Season Ticket holders discounts/ loyalty rewards. To discuss Match Sponsorship opportunities, email commercial@cliftonvillefc.net.